Tip: A Compass or GPS, an Inclinometer and a Sat Finder will make pointing a lot quicker and easier. 1. Elevation Adjustment. 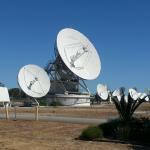 Place the inclinometer on the back frame of the dish (taking in to account any dish offset if required – see Fig 5). Adjust the elevation up or down to the desired angle as accurately as possible. Snug the hardware to stop possible movement. 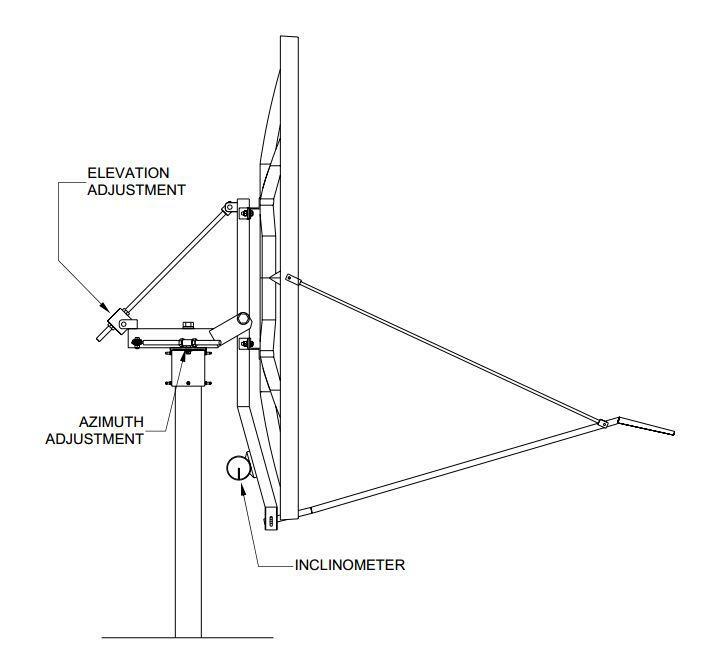 Tip: Typical satellite antenna offsets are 22.3º and 17.3° (i.e Calulated Elevation – Offset = Measured Elevation angle). 2. Azimuth Adjustment. Rotate the dish to the azimuth bearing (use magnetic North bearing for a compass or True North if using a handheld GPS). 3. Fine Alignment. 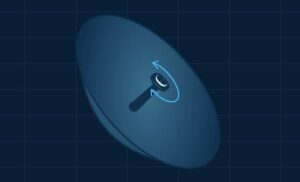 The satellite dish should now be in rough alignment and will now require to be peaked up on the signal using a sat finder or the satellite modem. The satellite is about 35,000km away so make small adjustments. 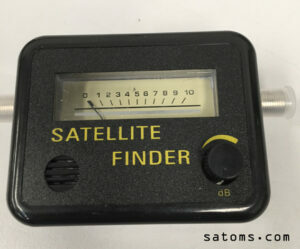 Tip: If using the Sat Finder (see Fig 2 & 3) keep on increasing the attenuation when you are peaking up the signal. This inexpensive bit of kit (about $20) will peak the signal very well. 4. Polarisation. Adjust the LNB skew, the adjustment figure given is from standing behind the antenna. 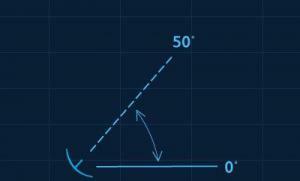 Rotate the LNB in the indicated direction, this is the satellite polarisation angle offset. This is used to preform Cross-Pol isolation tests with the satellite operator and a typical isolation value is 30dB. NB: LNB skew is not used with circular polarisation. 5. Secure Antenna. Tighten all the hardware used for adjustment making sure that you do not move the antenna position. 6. Testing. 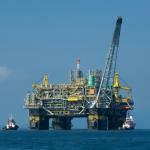 You should now complete an Isolation and compression test with your satellite operator to confirm correct operation and maximum efficiency of the link. 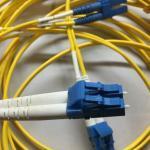 Tip: Isolation or XPOL is checking if you are transmitting (causing interference) on the oposite pol. Tip: Compression test is sometimes refereed to as a 1dB test. A Carrier Wave (CW) is transmitted from the remote to find the point where the Tx signal stops being linear. Remember your compass is correct – you are wrong! 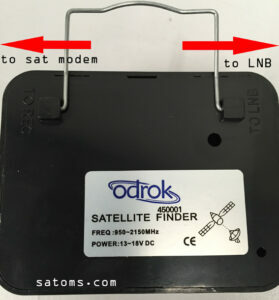 If you are using a SCPC sat link then check things like the MODCOD, bitrates, FEC, etc with the distant end. Here is a quick and easy method to tell if you have a knackered LNB (Rx – Receiver) or not. Keep on aligning the dish. How to find your satellite fast! if you want more top tips!